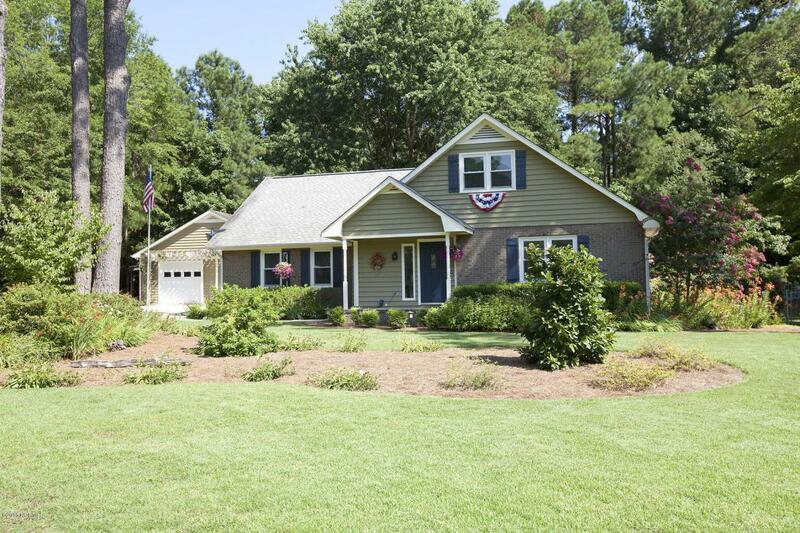 Beautifully cared for home on Middle Sound Loop and Ogden School district. 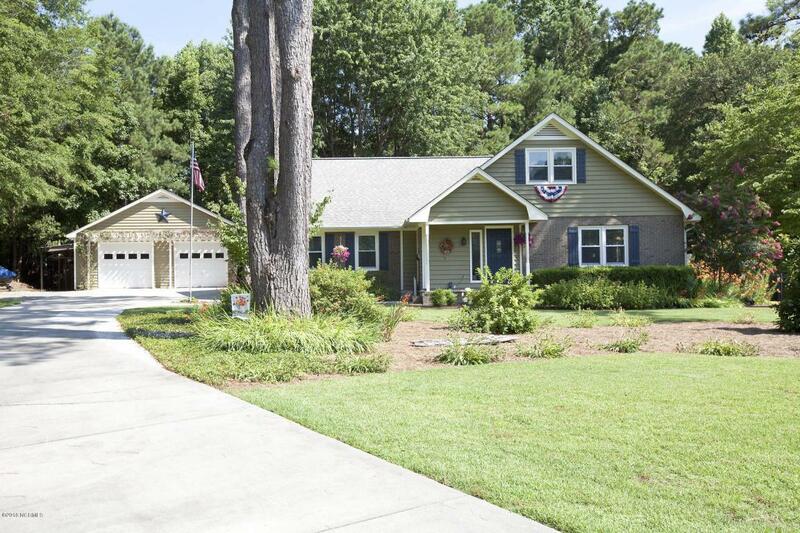 Tucked away on a private cul de sac, this home boasts numerous upgrades, 1/2 acre lot with impeccable landscaping, amazing wrap around deck w/built-in grill/bar, detached 30x24 insulated garage/workshop with heat&air, room to park a boat and more. No HOA and only County Taxes. 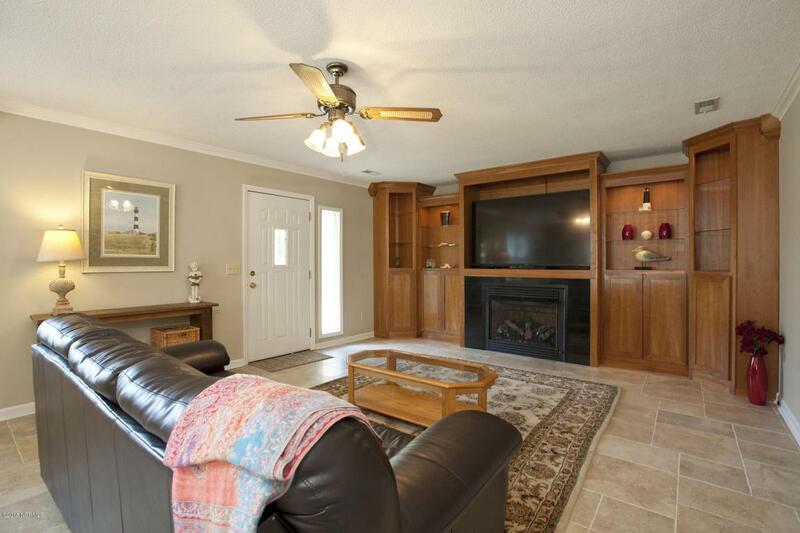 Inside the main living room connects to dining/kitchen with an open concept flow offering a well appointed kitchen with raised breakfast bar, quartz counters, SS appliances, custom cherry cabinets and decorative backsplash. You will appreciate the 1st floor master bedroom and fully tiled/door less shower in master bath. Also on 1st level is a half bath and 13x20 flex room or office. Upstairs has 2 spare bedrooms, full bath and a 4th bedroom/bonus room. Other features include Culligan water softner, newer Simonton replacement windows, newer Roof, irrigation system with well pump, koi pond and fire pit and 8x12 garden shed. 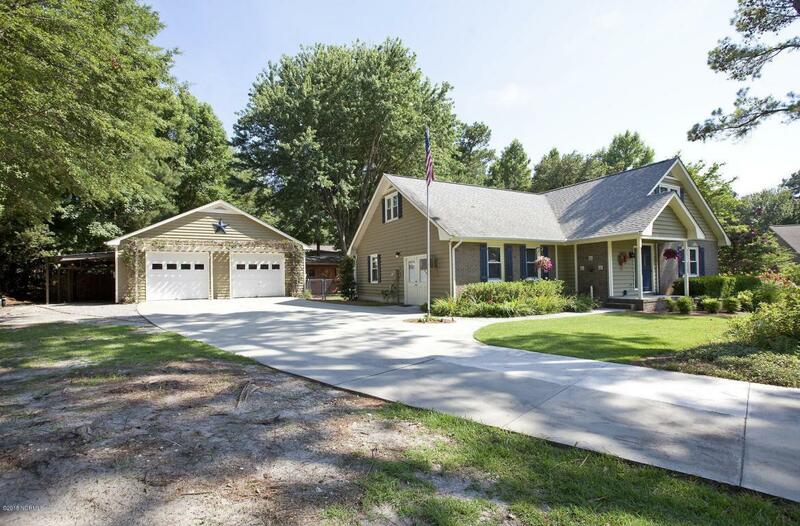 Middle Sound offers access to 3 nearby marinas with a country setting yet just minutes to Military Cutoff and Wrightsville Beach. Listing provided courtesy of Ben S Szafran of Keller Williams Realty.